Helloooo friends. Cute bag, right? 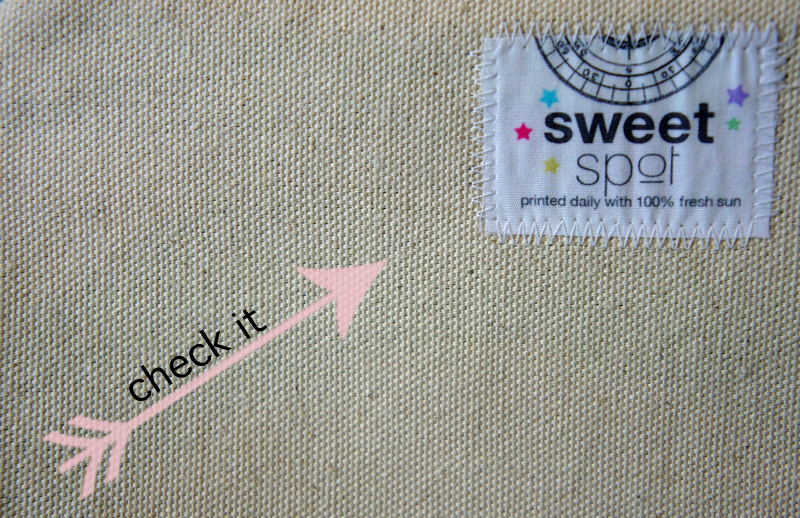 I need to introduce you to Sweet Spot Bags aka my new obsession. There are a few reasons why you are going to love these: 1. they're adorable (so that one was obvious, I know) 2. they are printed with the coordinates of your favorite place! (hello all you sentimentals out there--I'm one of 'em) 3. CUSTOM. Custom colors, custom coordinates, everyone loves a custom purchase, am I right? 4. They're printed with the SUN. The sun! How cool is that? The coordinates up there ^^ are for the place we stayed in St. Thomas on our honeymoon! I knew instantly those were the coordinates that I wanted because thinking about that vacation immediately puts me into a good mood. It was two weeks, which is the longest vacation I've ever been on, and it was so relaxing because all of the wedding planning was OVER! No more calendar notes, no more appointments, fittings, and decisions. DONE-ZO. Plus Tom and I snorkeled every day, swam with sea turtles, and pet sharks, and you can't beat that (especially if you know how much I love/hat sharks all at the same time). 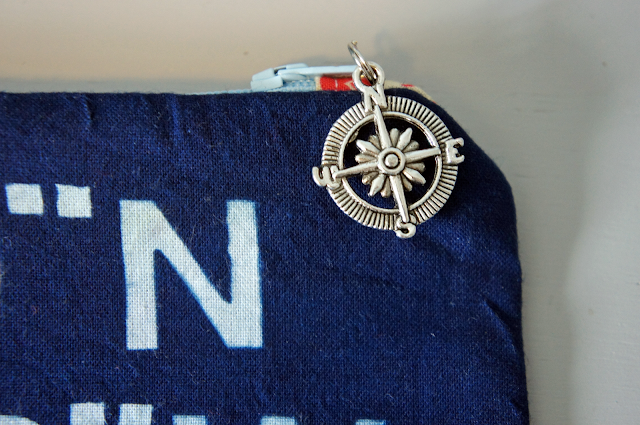 The little detail of the charm on the zipper was one of my favorite things. I love little sweet details. Just in case you get more than one of these (I wouldn't blame you), there is a little tag on the inside that has the location written out so you can remember which bag is for which location. These bags are perfect little clutches for going out (love the nautical look of this one--I would use it with a summery outfit! 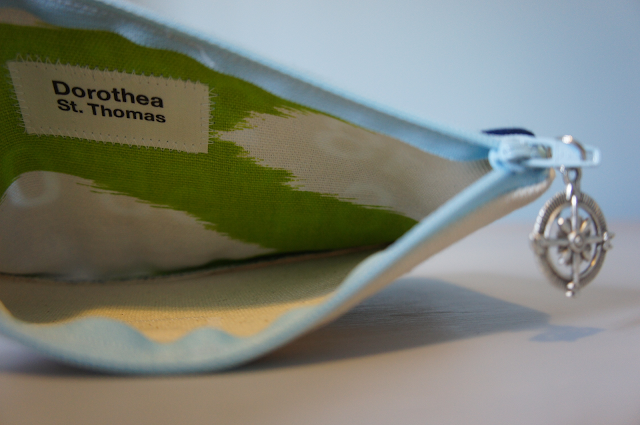 ), and they're also the perfect size to use as a cosmetic or toiletry bag on trips. I love how unique these bags are. They're definitely a conversation starter, for sure. 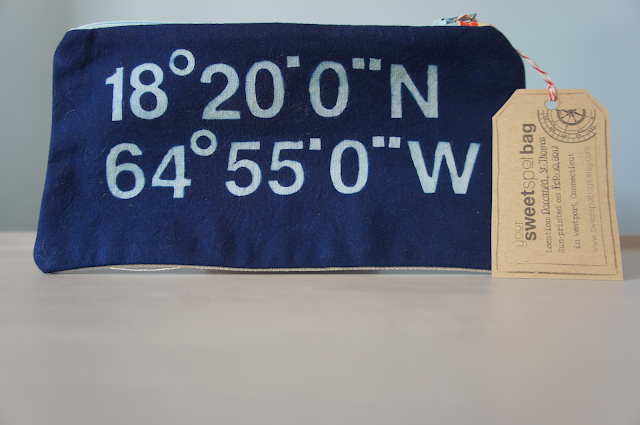 Need some ideas for coordinates for your own bag? The location of your wedding, where you grew up, the city your baby was born in, where you were proposed to, maybe where you met your best friend! It would make a fantastic gift for a girlfriend! If you love Sweet Spot Bags as much as I do, go favorite them on Etsy and like them on Facebook! What place would you choose for your coordinates? I want to know! This is a sponsored post. Sweet Spot Bags provided this bag for review. All opinions are my own. This is so adorable! I'm thinking this would be a great go-to idea for birthday/anniversary gifts! Thanks for the suggestion, off to check out Etsy! Coordinates? What's that???? I have one very hot red striation leather LV bag that I use about 4 times a year (the amount of times I go out). Otherwise, it's the black Prada diaper bag with a broken zipper that I've had for ages! But, it works! I bought neither of these bags myself (they were gifts) but that's about as much as I accessorize. These bags are very cute though! Thanks so much for sharing. OMG I want this SOOOO bad! Definitely bookmarking for later. Ben's "big boy" room, at some point eventually in the new house, is going to be nautical-themed! LOOOOVE THIS! Soooo cute!! Love them. I have a few ideas for coordinates...sentimental places and whatnot! I'm obsessed with all things nautical. Super cute idea ~ Love it! Especially since Reagan was born in PA and we live in California so it would be a great sentimental gift! So cute! I would pick Telluride, CO...the spot of our honeymoon and pretty much our favorite little ski spot on earth :) I think these bags would make such cute shower and anniversary gifts too! Thanks for sharing!!! What a COOL product! I think if I got ANYWHERE it'd be Duluth, MN. It's quickly becoming a favorite spot for my boyfriend and me. Yep, gotta admit, that's totally cute. My favorite place is Lawrence, KS. It's where we were married and return every year for our anniversary. I would love to have a bag to remind me of it.